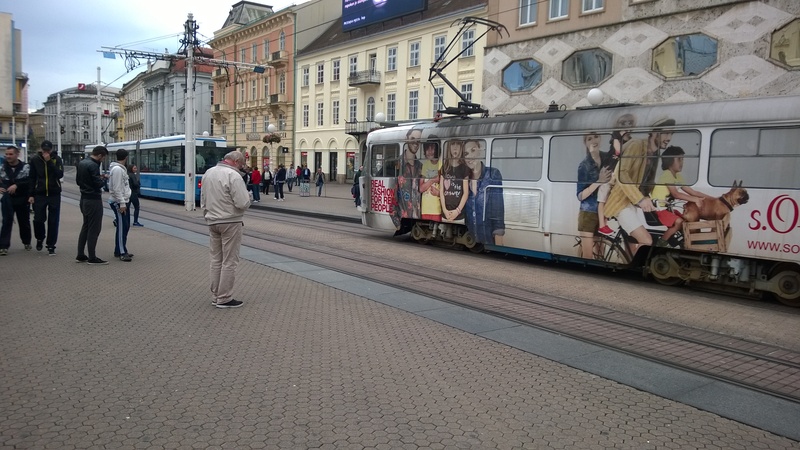 On September 13, two trains converged on Zagreb, the capitol of Croatia. One, coming from Hungary, carried Della and Eric. The other came from Vienna and carried Peggy and Wayne. Both train rides ended up including one bus segment and a change of train due to washouts of the tracks. Transferring from the train to the bus, to go through town and then get back on the train! 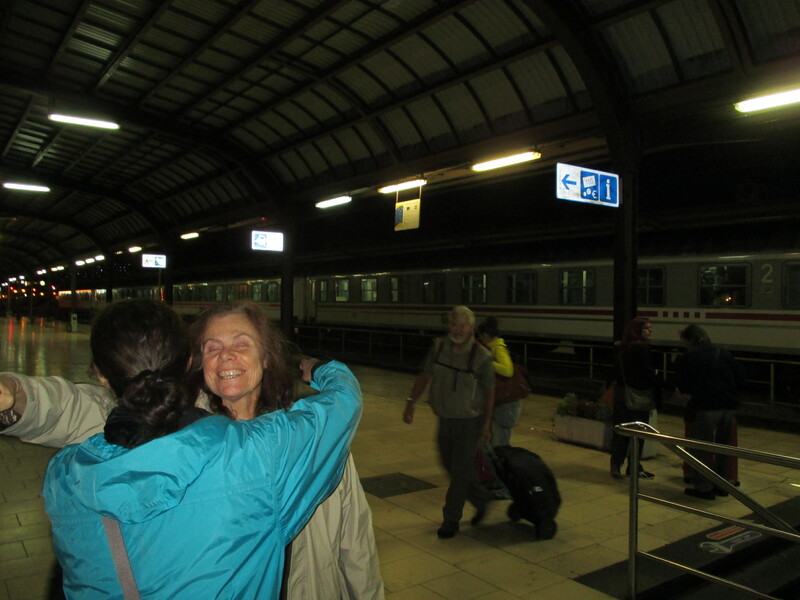 Peg and Wayne were thrilled when they found Della and Eric waiting for them at the train station close to midnight. It was a happy reunion. Connecting at the train station! 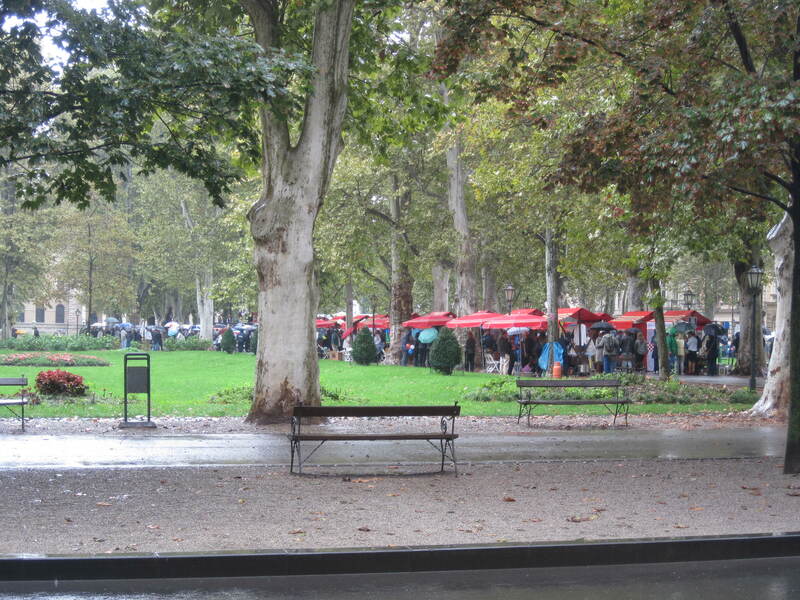 The next day, we started our exploration of Zagreb in a park just south of Jelacic square. We stumbled onto some pan-Slavic festival with music and dance. Best of all there were booths representing regions /ethnic groups, each offering small plates of food or drink, all for free! We gathered this was a once a year event. 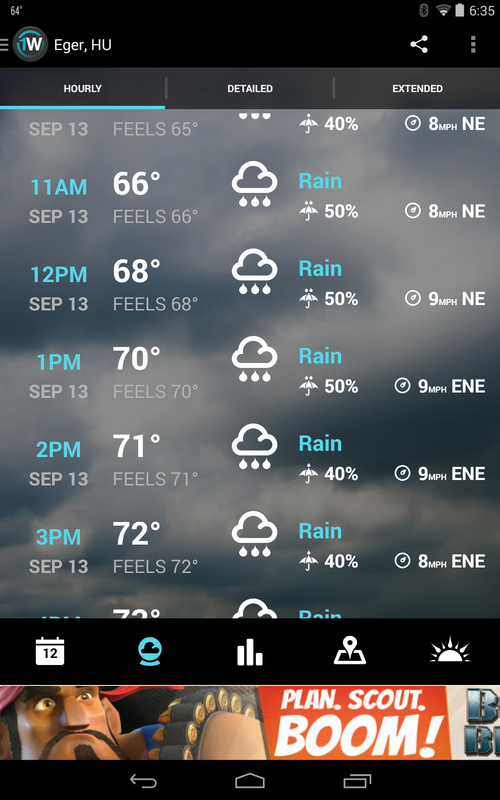 The only bad thing was it poured rain much of the time. From there, we embarked on a self guided walking tour, learning as we went from Rick Steves, well read by Eric. We started in Gradec, one of 2 medieval villages that combined to form Zagreb. The thing you see in all the guide books is St. Mark’s church with a great tile roof incorporating decorations including the Zagreb seal. 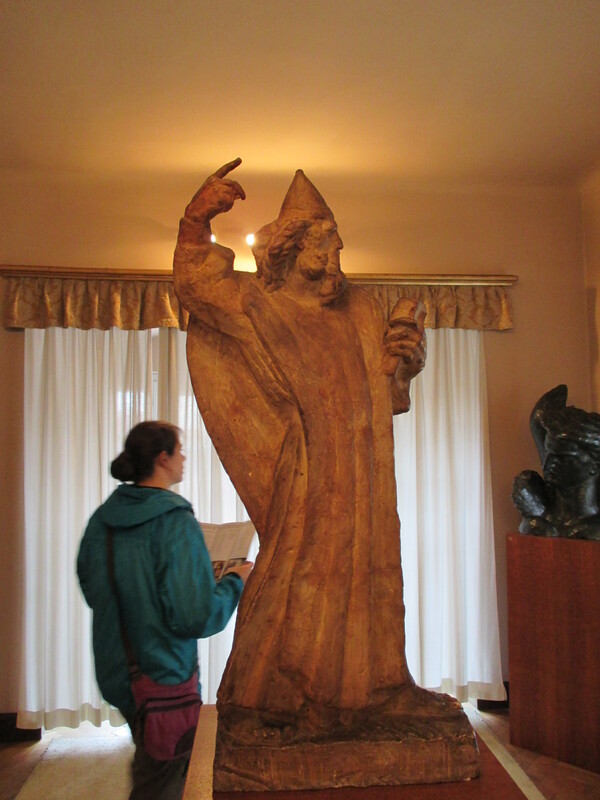 We were happy to find the Mestrovic Atelier open. Our guide book said it would be closed for restoration. Mestrovic was a prolific sculptor whose works remind you of Rodin. He spent the end of his life in the US having fled Tito’s Yugoslavia. Peg especially loved his weird John the Baptist. 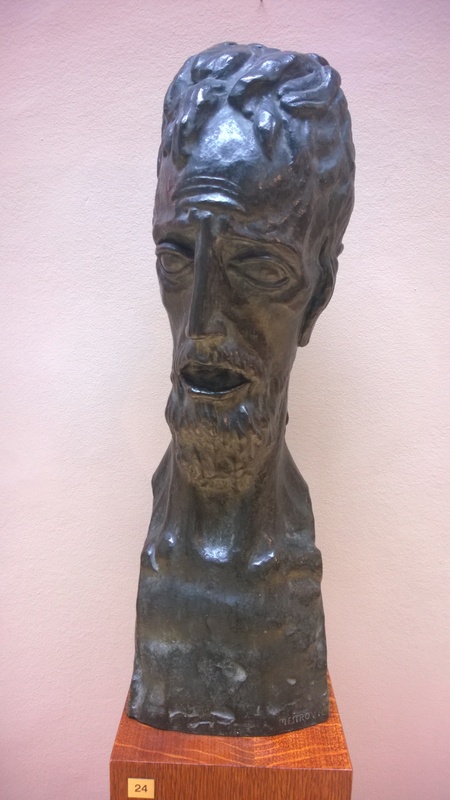 His most famous work may be of Gregory of Nin, a bishop who was a hero to the Croatians. The huge statue is actually in Split, (which we saw later) it was mostly covered up undergoing extensive restoration. Della and Eric decided to climb the Lotrščak tower for some good views of the city and St. Mark’s. Peg and Wayne waited at the bottom with a small cup of coffee. 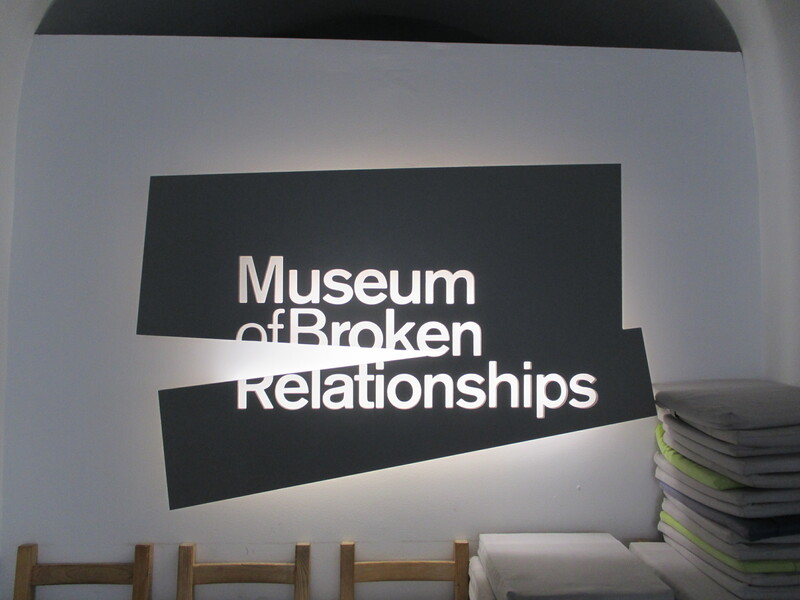 We also went to the Museum of Broken Relationships. Someone had a good idea: Ask people for a personal story and a memento from some relationship that has ended. The stories were mostly about romantic love, but some stories touched on parent-child relationships. Almost all had universal appeal, some funny, many very touching. Several stories came from Coloradans. This was one of the smallest stories. Some were much longer and more meaningful! We then went to the second medieval village called Kaptol. The main attraction was the Cathedral. 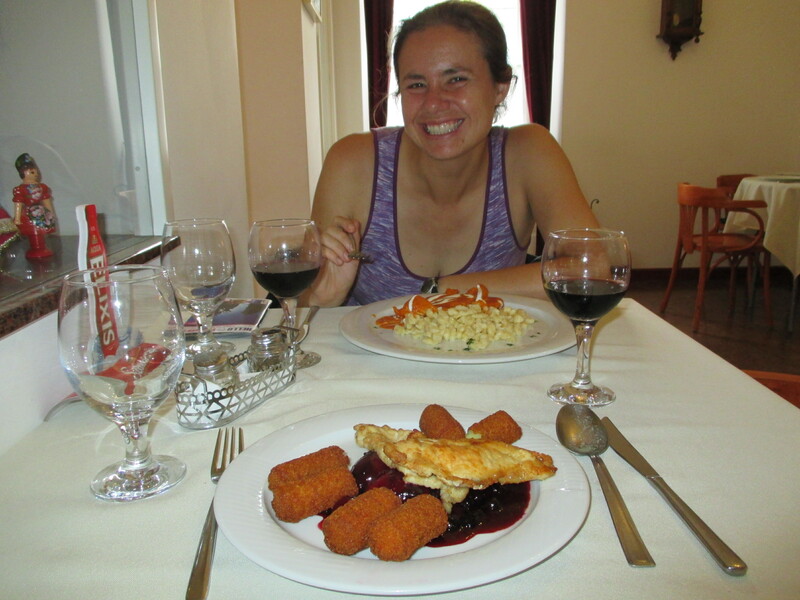 We finished up with traditional Croatian food, including venison. Our big struggle the next day was figuring out how to get to our rental car. We had one reservation for the correct days, but it was 4 miles away and we couldn’t figure out any transit options. The other reservation was for wrong days but we could get to on the tram. We opted for the tram and luckily could change the days to match our needs. One final note re transit. The old towns were pedestrian only. The main square had no cars but many, many trams running through. Enjoy our photos from Hungary. You can also access our photos on the top right “places we’ve visited” menu. This is one of our Budget series of posts to give you an idea of how much we spent traveling around the world. Here we will look at Hungary. Check our posts to see what kind of activities we did and where we stayed! In Hungary we used forint. 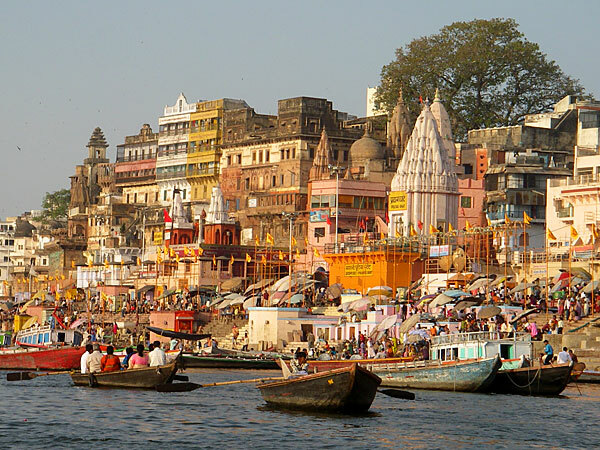 We converted to US dollars using the current conversion rates at the time of our visit. It was approximately 240 forint to one dollar. 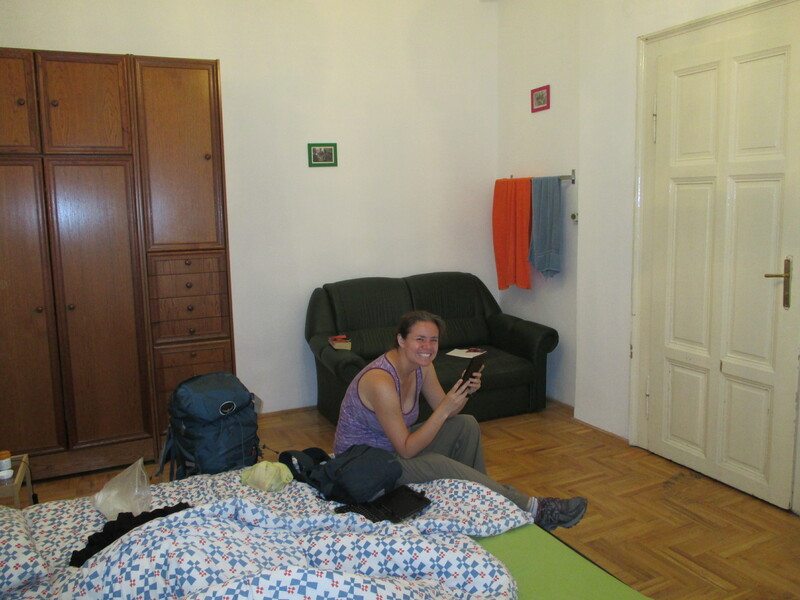 We stayed in two hostels in Budapest: one dorm and one private room host. 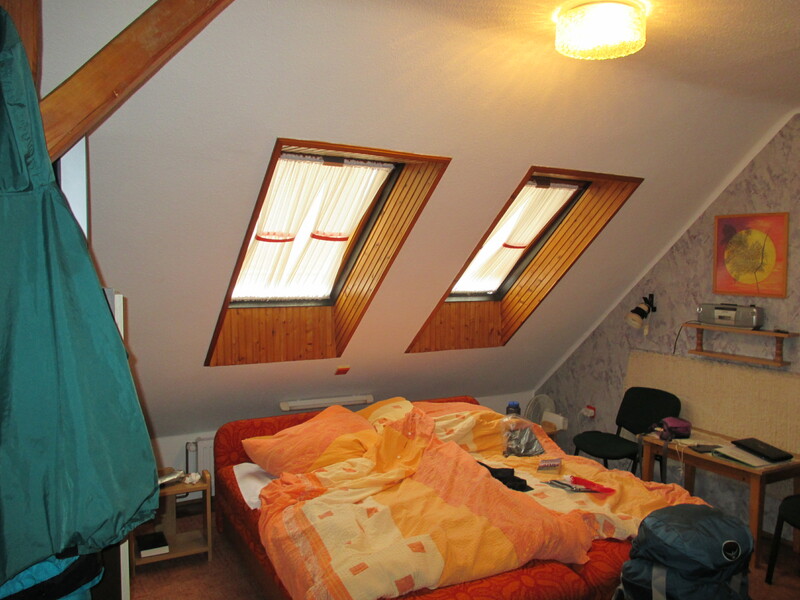 We stayed in a pension in Eger. We did three free tours in Budapest and tipped for them all. We visited the Szechenyi baths in Budapest which was somewhat pricey. We also experienced our first Escape Room game in Eger in addition to entering a few museums and other sights. We did a Pub Tour in Budapest and wine tasting in the Valley of Beautiful Women so this is a little higher than other locations. We also purchased a few bottles of wine. We think we ate out one to one and half times a day. We did not cook as many times as in other locations. We purchased a few post cards, public bathrooms, and one souvenir. We took a few metros and trams in Budapest which were not super cheap, but quite convenient. 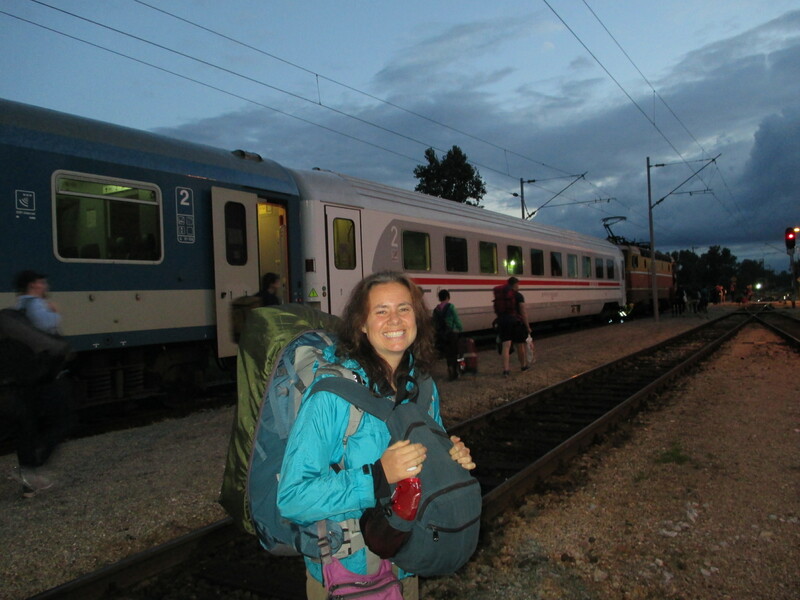 Our big transportation expenses were train tickets to and from Eger and then a long train ride from Budapest to Zagreb to meet Della’s parents! This divides out to $95.97/day which, thankfully, is just under our $100/day budget. We have been looking forward to going to Eger for a long time! We knew that we needed to find time to visit this smaller Hungarian town. Agria Retur Panzio – This nice pension was a little bit far from the train station so we had to lug our bags all the way through Old Town to get there. However, we were glad that we stayed here. We had a pretty sizable room with a private bathroom. There was a shared kitchen and meal area that was quite pleasant. We were only a few minutes walk from Old Town and the town Minaret was practically right outside our door! 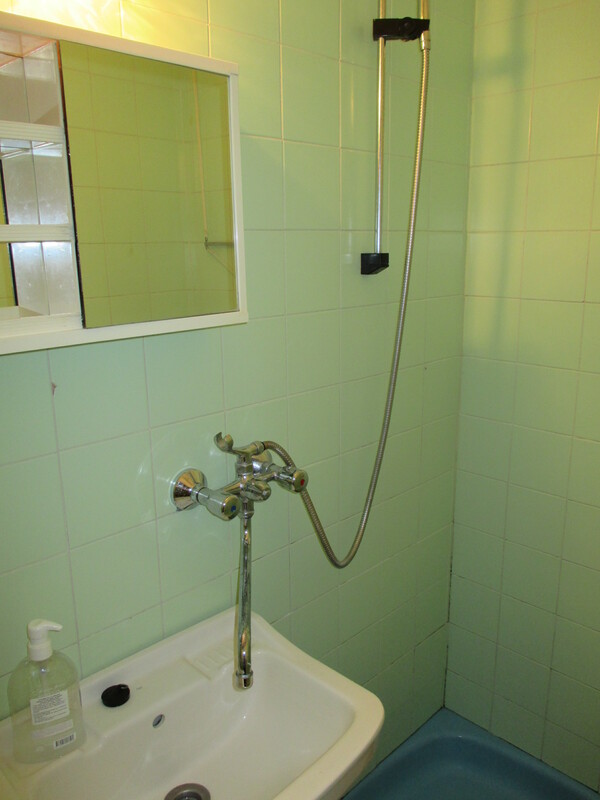 The shower was unique though. Valley of the Beautiful Women – This is why we traveled to Eger! Just over the hill, about a 25 min walk from Old Town, is the Valley of Beautiful Women. We’re not sure why the name, especially because we saw almost no one in our time in the valley. It was a miserably rainy day. However, it was still quite enjoyable because the reason you visit here is because it is full of about 50 wine cellars, all right next to each other. 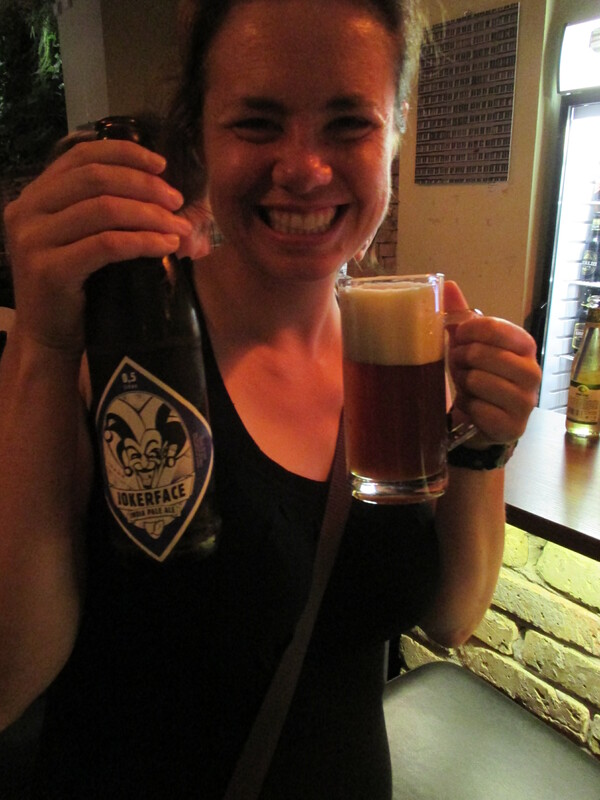 Tastes are free and glasses were as reasonable as 100 forint (about $0.50)! 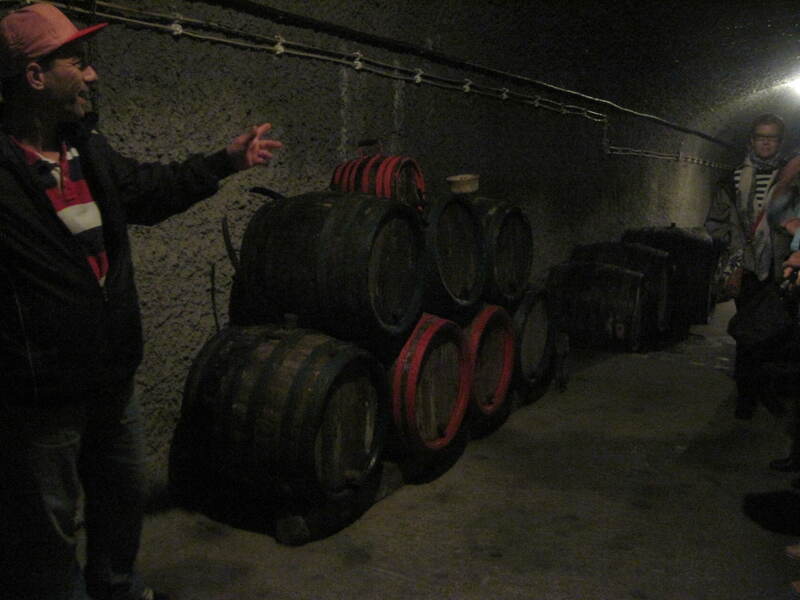 We really enjoyed striking up a conversation with a bored Hungarian working in the first cellar. We chatted about wine, Hungary, language, and her life. We also enjoyed trying the Eger special wine: Egri Bikaver or Bull’s Blood. The wine gets its name because in 1552, the people of Eger withstood a siege by the Ottoman Empire for a month. 2000 men from Eger against 100,000. They held! The king Istvan Dobo helped his troops by giving them wine which stained their beards red. This lead to rumors through the Turkish army that the men of Eger were so strong and vicious because they were drinking the blood of bulls! Every cellar has their own variant of this famous Eger wine. They also will fill up a plastic bottle of wine for cheap prices. We filled our 1 liter nalgene bottle of our favorite wine for only 500 forint (a little over $2.00!!) There are many cellars to try, but the rain and the alcohol caused us to only get to 3. We wish we lived close by cause we would go back regularly! 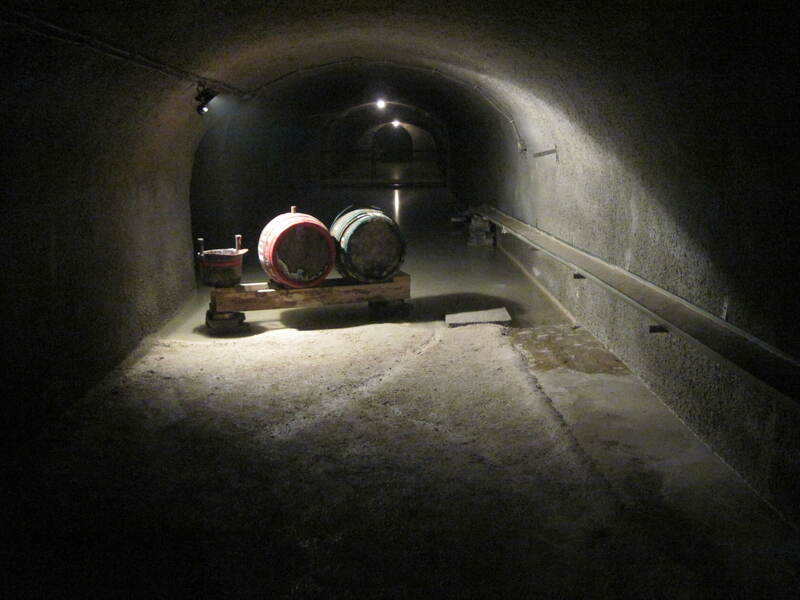 Super excited that we found the exact same cellar that we featured in our fast forward Friday! Our Nalgene full of yummy wine! Eger Castle – As we mentioned, Eger is famous for withstanding a siege from the Turks. The castle is beautiful. There are a lot of things to do in the castle, a few museums, etc. However, we were mostly interested in the views. Also, we only had a small window at the end of a day when it wasn’t pouring. You do have to pay to walk the grounds, so we spent some time exploring the walls and enjoying the views. You can see the ruins of the first cathedral which was built on the same hill around 1000 AD. Eger exists because it grew around this cathedral. The original ruins from the hill. Eger was built around these! So, we talked about how Eger withstood the siege from the Turks. It was amazing and heroic, and, understandably, Eger is very proud of this point of its history. Unfortunately, the first siege was in 1552. The Turks came back in 1596, and this time Eger did not hold out. Eger was under Turkish rule for about 100 years. The minaret is a remnant from this time. It is an amazingly narrow, tall tower. There is nothing to do but climb the tower. We didn’t count, but our Lonely Planet says that there are 97 stairs in this narrow staircase. It winds up to the top and you almost have to crawl up on your hands and knees to contort your body through the narrow passage. Once on the viewing platform, the only thing you can do is shuffle sideways with your back to the tower. Della couldn’t even fit up there with her backpack. We did have some lovely views of the town and castle. The sun even decided to make an appearance! 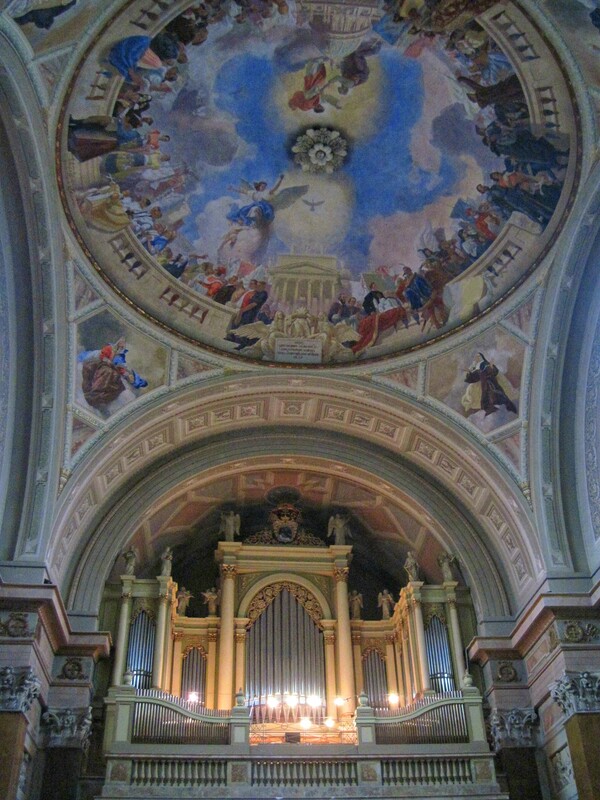 Eger boasts the 2nd largest Basilica in the country, and it was huge. We chose not to pay for the special, daily organ concert, but we did find time to enter later. It is beautiful! The other cool thing about the Basilica is that you can enter the City Under the City right outside. This is actually a network of tunnels that functioned as the archbishop’s enormous wine cellar. This was from the days when church taxes were paid in wine! We did a tour here as it is the only way to see them and it was in Hungarian unfortunately. Though they did give us a nice English guide which gave us information about each of the things our guide was talking about. The only thing we missed was understanding the jokes and being able to ask questions. 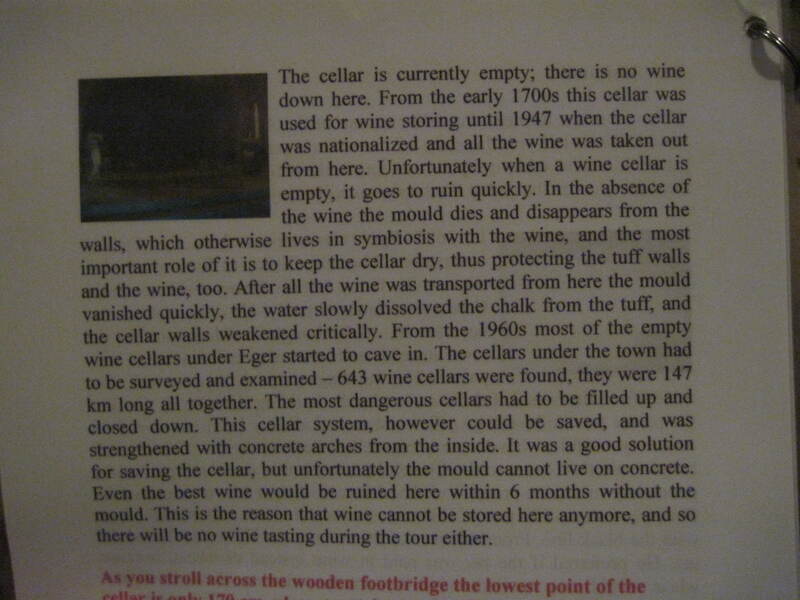 An explanation of mold and how it is necessary for wine storage? City under the City. Not any real wine. 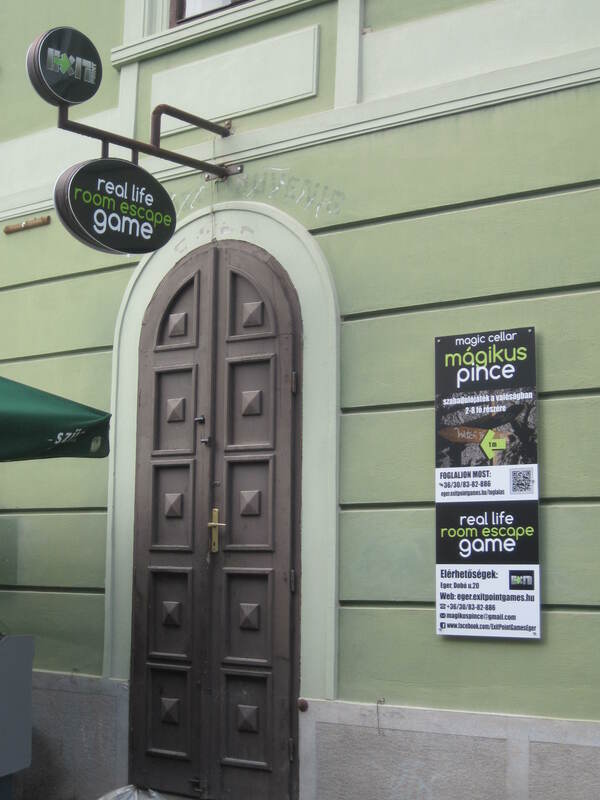 Exit Point Game – So, we had heard about these Escape Room games in Budapest. The premise is simple: They lock you in a room and you have 60 min to figure out how to escape. You will use clues within the room, logic, and other tricks to open locks, solve riddles, and unlock doors. It’s basically a chance for you to channel your inner Indiana Jones. We had known that we wanted to try one of these games, but couldn’t quite get around to figuring it out in Budapest. But we were quite excited to see that one of the companies had recently expanded to Eger! We walked by their office in town, which was only a few min away from our pension. We had no trouble scheduling an appointment because they had just opened 2 weeks ago. There is a hint button, which we never used. However, you are on video the entire time so the woman watching us gave us a few unsolicited hints when she could see we were stuck. We got out right before our 60 min were up. However, we do believe that if had a bit longer, we could have figured it out with no hints! It was a blast! We found that a lot of places in Eger (also in Budapest) offered a special “daily menu.” This menu normally got you a soup and some sort of meal. 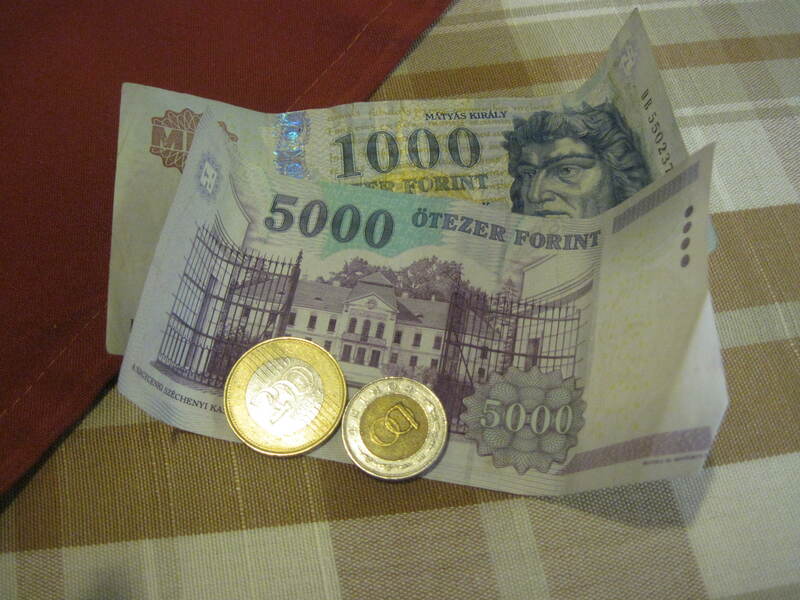 We were excited that these typically cost about 900 forint (less than $4.00)! We ate at a couple of different restaurants with this deal. The food wasn’t particularly memorable, but it was tasty! 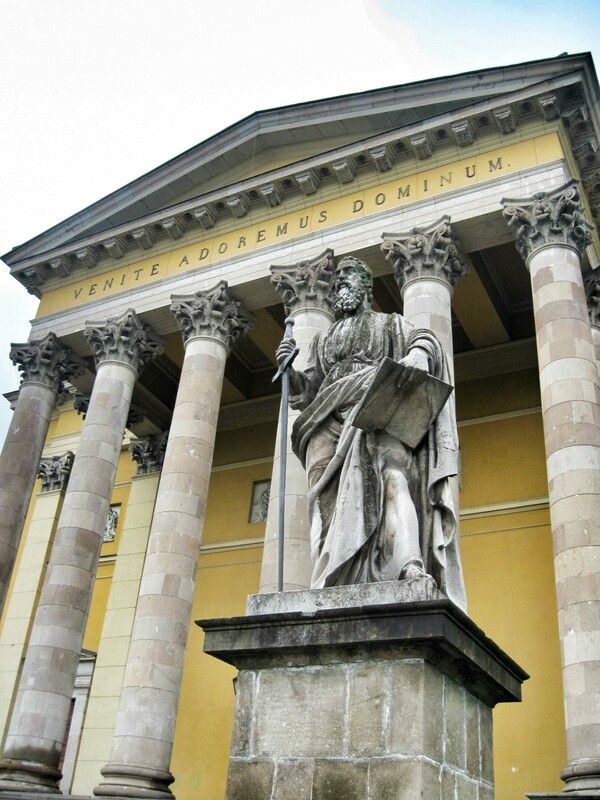 We were certainly glad that we went a little bit off the main tourist track to visit Eger. It was a beautiful old town. Unfortunately, a bit of the beauty was marred because they were completely redoing the main old town square. Despite this, there is plenty of things to do to occupy your time for a couple of days. We wish we could have stayed longer. We also wish we could have been more efficient, however, the bad, rainy weather made some of the potential sightseeing unpleasant. Overall, we really enjoyed Eger and wish we could do it again! After saying goodbye to Slovakia, we headed south to Hungary. Our first stop was the capital city of Budapest. Paprika Hostel – For our first few nights, we picked out this hostel online because the reviews made it seem like a low-key place (unlike a lot of other places in Budapest, who seem to be advertising how crazy they will be). We booked in a four-bed dorm room and shared with just one other person all three nights. The facilities were nice except another toilet would have been great), but we never quite clicked with the rest of the people staying here. Pal’s Hostel – For our last two nights, we decided we wanted the comfort and privacy of our own room, so we found a private room in this place. Even though it calls itself a hostel, it actually feels more like small apartments. We had to share bathroom and kitchen facilities, but only with one other couple. We really enjoyed our stay in this spacious room – and the location right next to the main basilica was amazing as well! 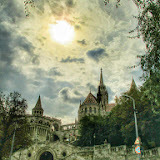 Budapest Free Walking Tour – It’s basically become our standard practice to take a free walking tour of a city on our first day there to get a feel for it. 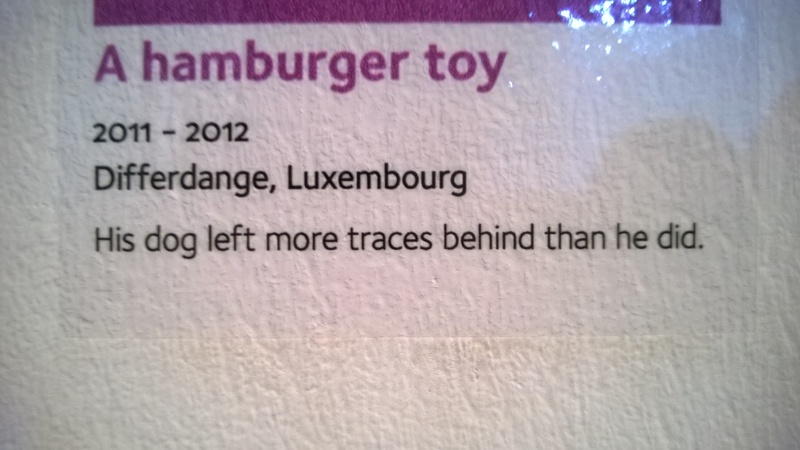 In Budapest, there were a few different companies, but we went with the one that had the best reviews. 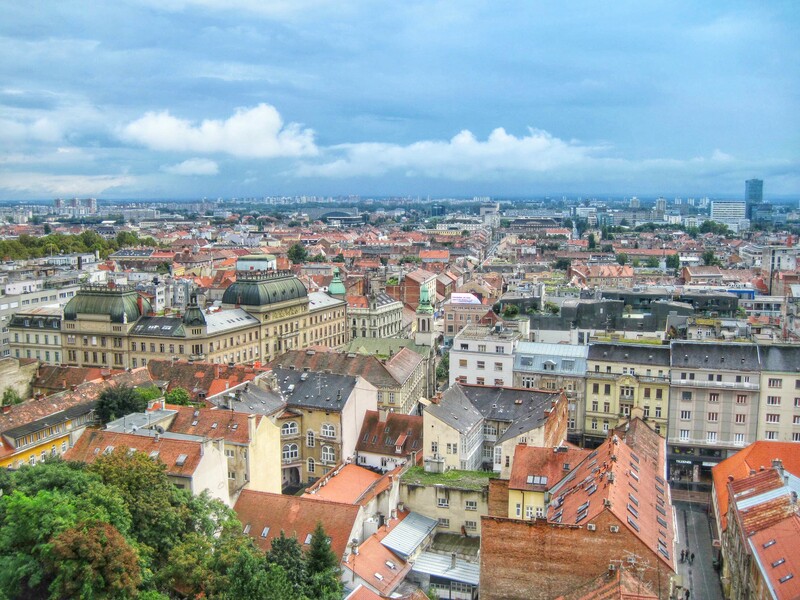 This overview tour started on the Pest side (Budapest is actually the union of Buda on the west of the Danube and Pest on the east), where we saw a few different squares and the beautiful St. Stephen’s Basilica. We then crossed the Chain Bridge over into Buda. 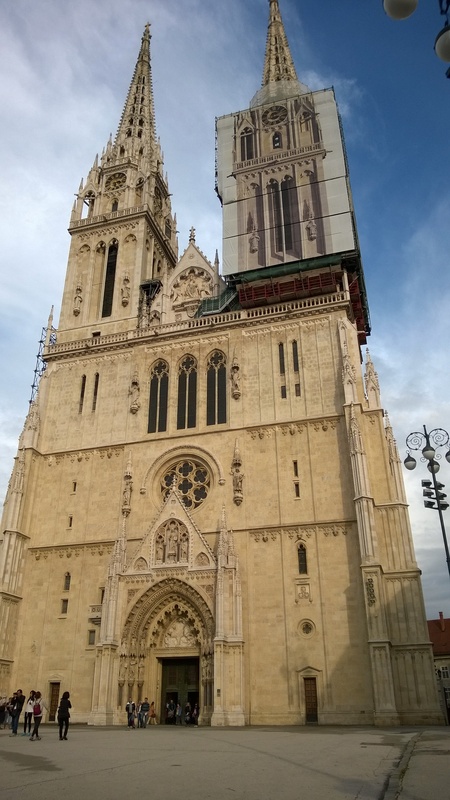 We climbed up the steps to the Royal Palace, and then the tour finished at Matthias Church. From here, we walked down on our own through the Fisherman’s Bastion scenic overlook and back over into Pest (where our hostel was). View of Buda from the Pest side. That is the castle complex. We crossed the Chain Bridge and are climbing the hill to the castle. Looking back at Pest. View of Pest from the castle. The beautiful Parliament building is in view. Free Pub Tour – Budapest is known for its nightlife, so we decided to get a little crazy and join a tour of some of the different watering holes. The free walking tour company offers a free pub tour – they make sure to emphasize that it is a tour, and not a pub crawl where the point is just to get drunk. A guide led us to three different places, and at each one we got a free shot! 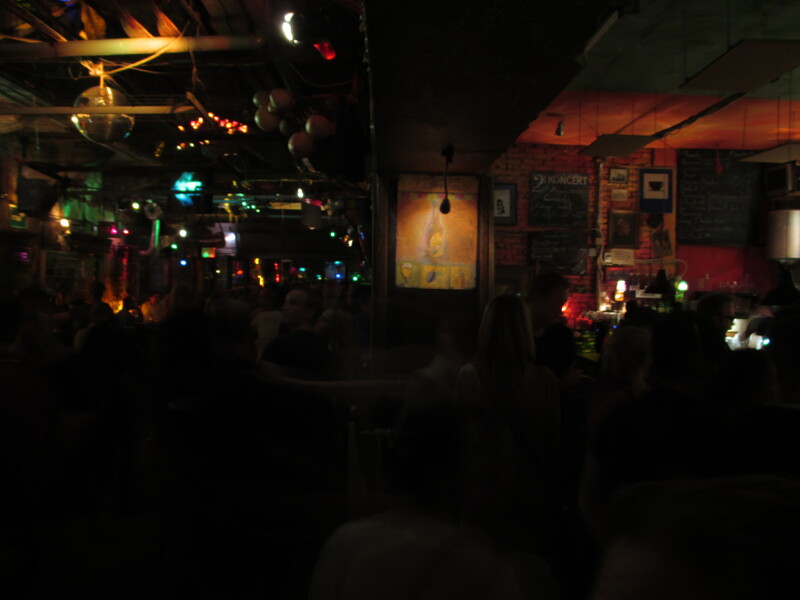 The last stop on the tour was one of Budapest’s famous “ruin bars” – an abandoned building that has been turned into a large bar (and usually with random decorations). We had so much fun that after the our was over, some of the group even went on to another ruin bar! 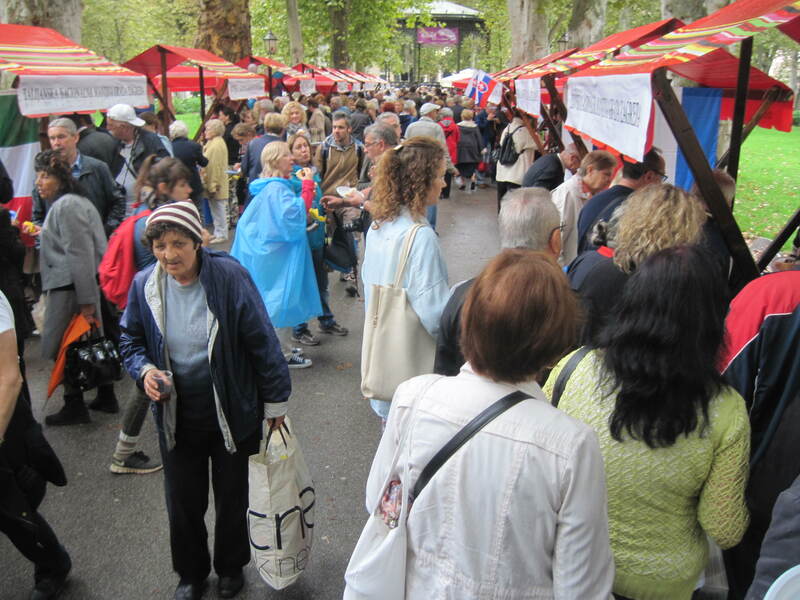 Free Communism Walking Tour – We definitely love our free walking tours! The tour company also offered a special tour that was a little different than the overview. It was less about seeing sights and more about hearing the stories of what life was like in Budapest during the Communist regime (with appropriate backdrops). We felt like we learned a lot and would highly recommend this! Bullet holes in the sides of buildings left over from the 1956 Revolution. This revolution ultimately failed and Budapest was ruined by tanks. Our explained that the thought it was significant that the one remaining memorial was right outside the American embassy! Our guide also explained that the thought this statue was politically related. Right on the other side there is a large statue of President Reagan. Perhaps the US was reponding? Our guide showed us the map that students learned from during communism. Most of the west doesn’t exist! Our guide said this was a communist version of monopoly. Margaret Island Fountain Show – Our hostel gave us a tip that every night at 9, the big fountain on the southern end of Margaret Island puts on a light, music and water show. We grabbed a bottle of wine and headed over there. We were definitely impressed with the hour-long spectacle. This also gave us a good view point of the Parliament and Castle by night! Central Market Hall – On our own, we walked down to this giant market housed in a pretty old building. The market was closing, so we didn’t have time to do much shopping, but we did manage to grab a lángos, which is basically just fried dough topped with a variety of things. We overheard someone say that the traditional topping was just cheese and sour cream, so we went with that. Walk Around Parliament – Also on our own, we walked around the massive and impressive Hungarian Parliament building. We had thought about doing a tour of the inside, but it is actually pretty expensive. Also near the Parliament on the Danube we found a memorial to the Jews who in 1944-45 were killed on that spot so that their bodies would be washed away in the river. The shoes symbolize the fact that they were often ordered to take off their shoes beforehand. Szechenyi Baths – One other thing that Budapest is known for is its baths. There are many springs in the area surrounding Budapest, and these are often used to create public baths. We went to the largest at Szechenyi. We spent a whole day exploring the different thermal pools, saunas and outdoor pools. Definitely very relaxing! Compared to other cities we have been to, we actually found it quite hard to find traditional local food in this city! Most of our meals were not Hungarian. We had Thai food, Turkish kebabs, and even Mexican food! 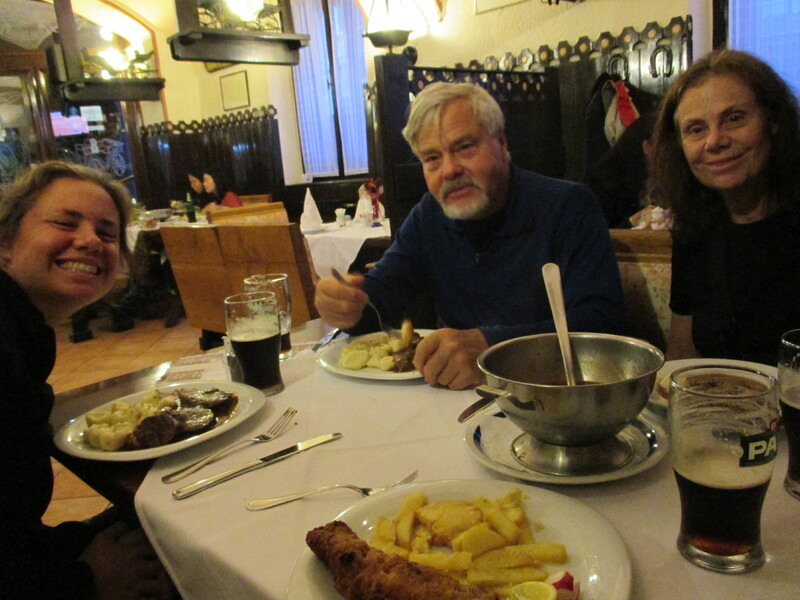 On our last night we did finally eat at one place that offered a multi-course menu of Hungarian specialties. We enjoyed our time in Budapest. There are a lot of different sights to see, and certainly a lot of different ways to have fun. A little more touristy than Krakow and Bratislava, but not as bad as Prague. We’d recommend a visit!